Andrea McGuire, a folklore graduate student at Memorial University, is currently seeking interviews with past and present hitchhikers in Newfoundland and Nova Scotia. She is collecting stories from people who used to hitchhike, people who hitchhike in rural communities, people who hitchhike nationally/internationally, and drivers who pick up hitchhikers. Each interview will take approximately one hour, and will be drawn on for Andrea’s master’s thesis. 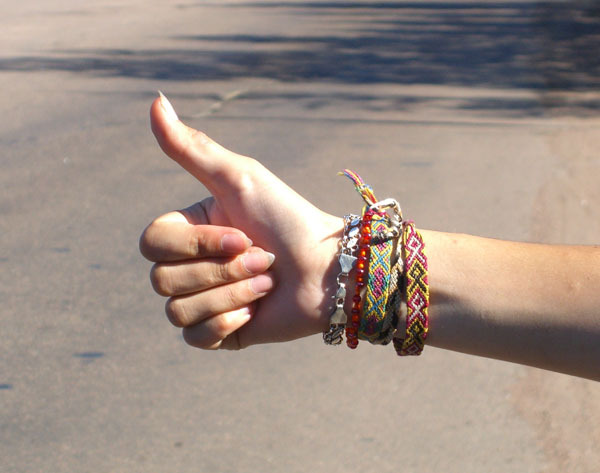 Do you have a hitchhiking story to share? Get in touch with Andrea by phone at 709-771-2216, or via email at c33alm@mun.ca. She would love to hear from you! The proposal for this research has been reviewed by the Interdisciplinary Committee on Ethics in Human Research and found to be in compliance with Memorial University’s ethics policy. If you have ethical concerns about the research, such as the way you have been treated or your rights as a participant, you may contact the Chairperson of the ICEHR at icehr@mun.ca or by telephone at 709-864-2861.